India is expected to see a substantial jump in the number of millionaires in the next five years as the total tally for the super rich in the country is likely to touch 242,000 by 2017. 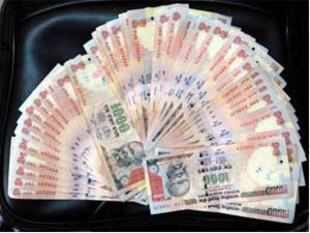 NEW DELHI: India is expected to see a substantial jump in the number of millionaires in the next five years as the total tally for the super rich in the country is likely to touch 242,000 by 2017, a report says. According to a Credit Suisse Research Institute's Global Wealth Report, the number of millionaires in the country in 2012 stands at 158,000, which is likely to swell to 242,000 by the year 2017, registering an increase of 53 per cent. The report also highlighted the stark inequality in the country as almost everyone in India (95 per cent) has wealth below USD 10,000 (about Rs 5,30,000), while at the other end a very small proportion of the population (just 0.3 per cent) has a net worth over USD 100,000. "While wealth has been rising strongly in India, and the ranks of the middle class and wealthy have been swelling, not everyone has shared in this growth and there is still a great deal of poverty," the report said. According to Credit Suisse, India has 237,000 members of the top 1 per cent of global wealth holders. There are 1,500 UHNW individuals with wealth over USD 50 million and 700 with more than USD 100 million. In the period under consideration from 2012 to 2017, the number of millionaires worldwide is expected to increase by about 18 million -- reaching 46 million in 2017 from 28 million in 2012. Though the number of millionaires in emerging economies is still well below the level in the USA (16.9 million) and Europe (15.4 million), "it is expected to increase substantially in the next few years", the report said. China could see its number double by 2017, raising the total to almost two million. A substantial increase in the number of millionaires in Brazil is also expected and it could add 270,000 millionaires by 2017, Credit Suisse said. Others in the emerging market economies, which are likely to see a large addition in the number of millionaires include Mexico (a rise of 112,000) and Indonesia (103,000). Singapore is expected to add 93,000 millionaires, while India will see an addition of 84,000 millionaires. Moreover, the number of millionaires in transition economies is predicted to rise substantially over the next five years, reaching more than 200,000 in Russia, 78,000 in Poland and 40,000 in the Czech Republic.